In this video we will discuss how to populate angular formarray with existing data. This is continuation to Part 27. 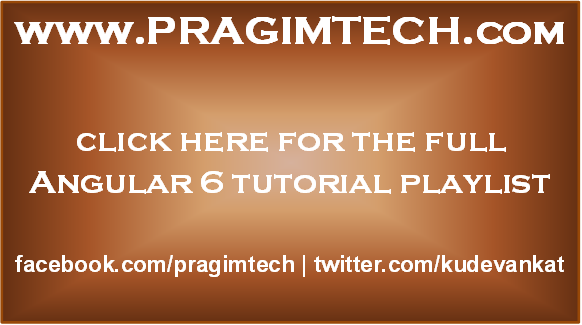 Please watch Part 27 from Angular 6 tutorial before proceeding. We want to populate the skills FormArray, with the existing skills an employee has. For example, consider the following data of an existing employee. 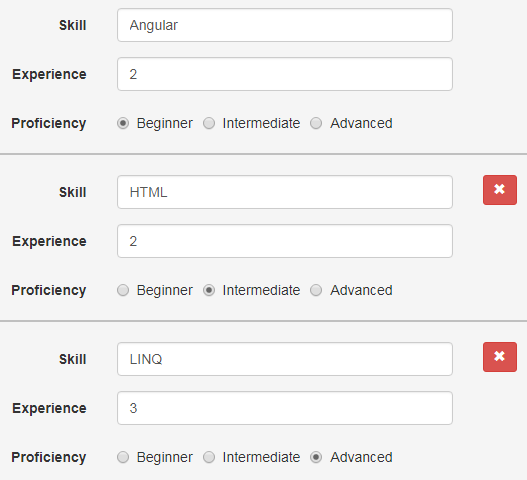 When we load this data on a form to edit this employee details, we want to populate skills FormArray as shown below. To achieve this modify editEmployee() method in create-employee.component.ts as shown below. Notice we are using setControl() method to replace the skills FormArray with the FormArray that setExistingSkills() method returns. Important - Programmatically changing a formarray in angular does not change dirty state : At this point, if you remove one of the skill groups from the FormArray by clicking the "Delete Skill" button, notice the dirty and touched state of the form is still false. This is because, the state properties like dirty, touched etc are designed to indicate whether a user has interacted with the form. By default, programmatic change to value of a form control will not flip the value of these properties. However, in some cases you may need to mark form controls, form groups and form arrays as touched, dirty etc. In such cases you can explicitly do so by calling markAsDirty() and markAsTouched() methods. In our case, when a SKILL form group is removed from the FormArray we want to mark the formArray as touched and dirty. To achieve this, we are using markAsDirty() and markAsTouched() methods.